Just 20 minutes from Park City's ski areas, the picturesque Heber Valley provides a delightful combination of rural atmosphere, spectacular mountain scenery, and easy access to Park City, Salt Lake City, and Provo. CNN Money ranks Heber one of "The Nation's Fastest Growing Micropolises..." , and the area is poised for explosive growth in the years ahead, with major infrastructure projects under-way, including improved freeway access, possible airport expansion, and the opening of the new Wasatch Campus of the Utah Valley University. Median home prices in the Heber Valley increased 51% from 2005 to 2006. 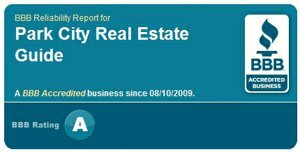 You can use this site to search for Heber homes, Heber land, and Heber Condos, as well as Midway condos, Midway homes, and Midway land. The county has a strong economic base and is attractive for business development. It is also close to Park City and the Wasatch Front where so many residents commute to work. For interstate commuters, the Heber airport services private jets as well as local airplane and glider enthusiasts. The much improved and widened highway 189 from Provo/Orem allows easier travelling to/from the Salt Lake Valley. With its popularity as a recreational area and facility development resulting from the hugely successful 2002 Winter Olympics, commercial business and community growth continue to boom in this picturesque rural valley. The natural waterways of The Provo river, Jordanelle and Deer Creek reservoirs (on both ends of the Heber Valley) offer blue ribbon fishing. Retired people enjoy the relaxed atmosphere and recreational opportunities in the area and a good number of people view the county as the perfect location for a second home or recreational cabin. Wasatch County is located in a beautiful mountain valley southeast of Park City and east of Provo. It includes Heber City, Midway, and the communities of Daniels and Wallsburg. Wasatch County serves as a gateway to the Park City area and its three major ski resorts, and to the Uinta Mountains, where you'll find alpine forests, lakes, streams and an extensive wilderness. One of Heber Valley's primary draws is its small-town atmosphere yet close proximity to nearby Park City, Salt Lake City and Provo. 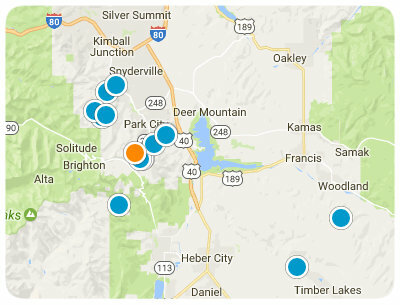 It's no wonder why CNN Money rates the Heber Valley as a "Best Place To Vacation..."
The communities in Wasatch Country are growing fast yet the area retains a relaxed, rural atmosphere. New home construction is booming throughout the county. Investors have a great selection of housing available, including homes in Heber, homes in Midway, condos in Midway, and residential lots throughout the valley. Excellent public and private schools can be found in the Heber Valley area. Public Wasatch School District has 3 elementary schools, a middle school, junior high, high school and an alternative high school. Utah Valley State College offers a full service campus in Heber City. The first phase of the college boasts a 75,000 square foot facility, classes remain small and obtainable, taught by highly qualified instructors. The Wasatch Campus offers two-year degrees in both Associate of Arts and Associate of Science. Outdoor recreation is a primary component of both the lifestyle and the economy in the Heber area. The Provo River cuts through the heart of the valley and attracts fly fishermen from around the country. Strawberry, Jordanelle and Deer Creek are three of the most popular reservoirs in Utah and provide opportunity for outstanding fishing, boating and other water sports. Wasatch Mountain and Soldier Hollow state parks are exceptional for golf during warm weather and cross-country skiing and other snow sports during winter. The Homestead, Daniels Summit Lodge and Deer Crest resorts are located here, along with lodges, motels and bed and breakfast inns ranging in style from economical to luxurious. Heber City is a rural community with all the benefits of an urban environment without having the urban problems. it is nestled in a beautiful valley just 19 miles from Provo and BYU and 35 miles from Salt Lake City and the University of Utah and the Jazz. The 1996 April edition of Money magazine identified Heber City, Utah, as one of America's 50 hottest little boomtowns. One of the primary draws to Heber Valley, Utah, is it's small-town atmosphere in close proximity to the nearby cities of Salt Lake and Provo. All economic sectors are represented in Heber Valley's diversified economy, including business, retailing, goods, services, recreation and tourism. Heber is also home to the famous Heber Creeper which has been in many major Hollywood films.